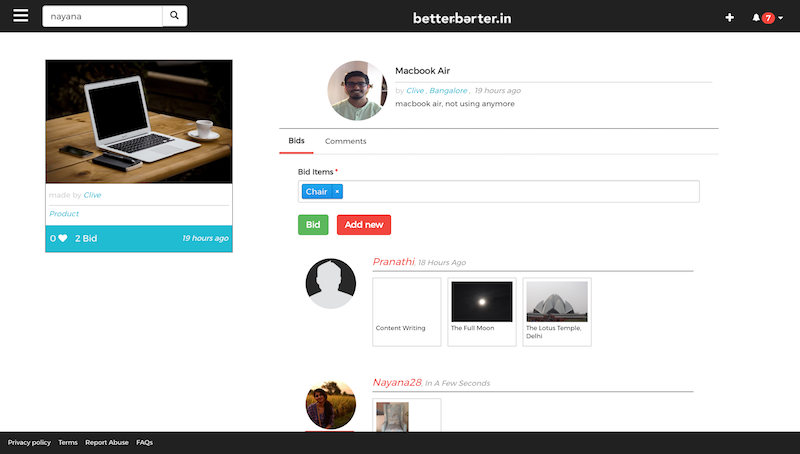 Better Barter is social media website that is based on the traditional concept of barter system. 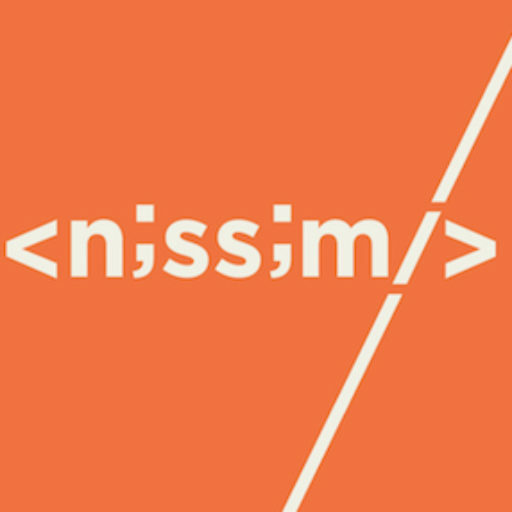 On this website, users put up products and services that are exchanged, with no money involved. 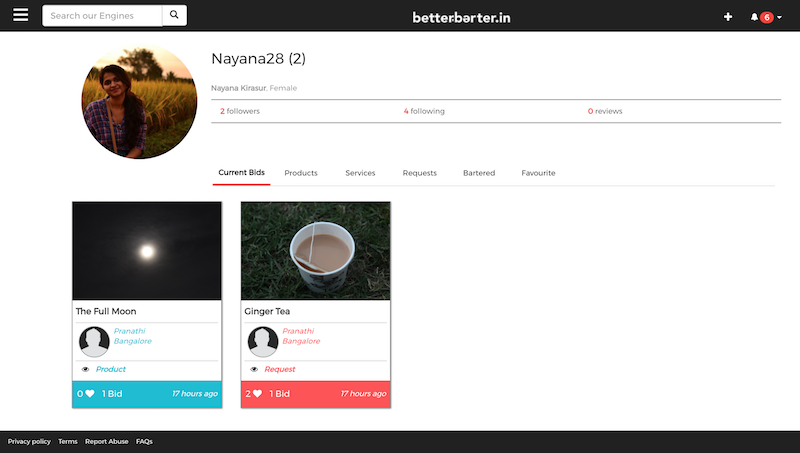 We created a platform where people could put up their profiles and add products, services they can offer. 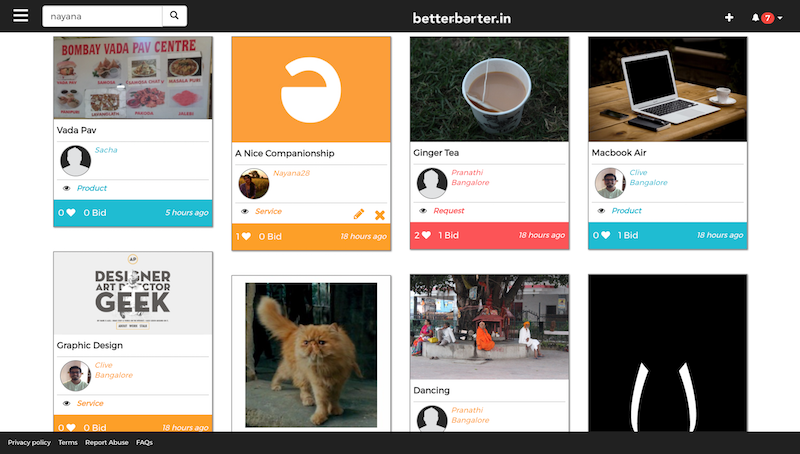 If a user is looking for something specific, they can also put it up as a request and trade it with what they have. 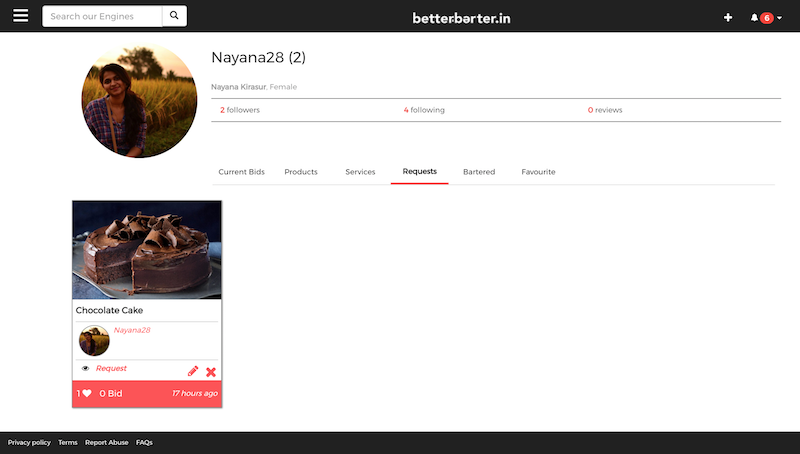 Better Barter allows one to follow other users and build connections. Home Page features all the products/services that are being offered. After products/services have been put up, people can bid for them in exchange for what they have. 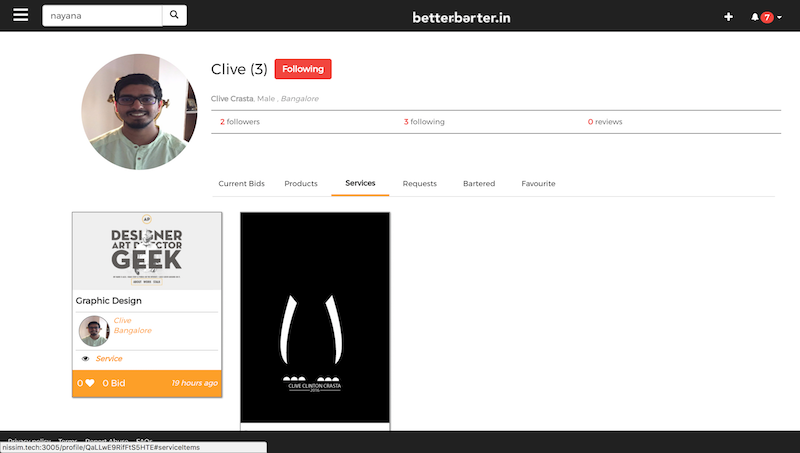 Current Bids appear as a tab on the profile page. 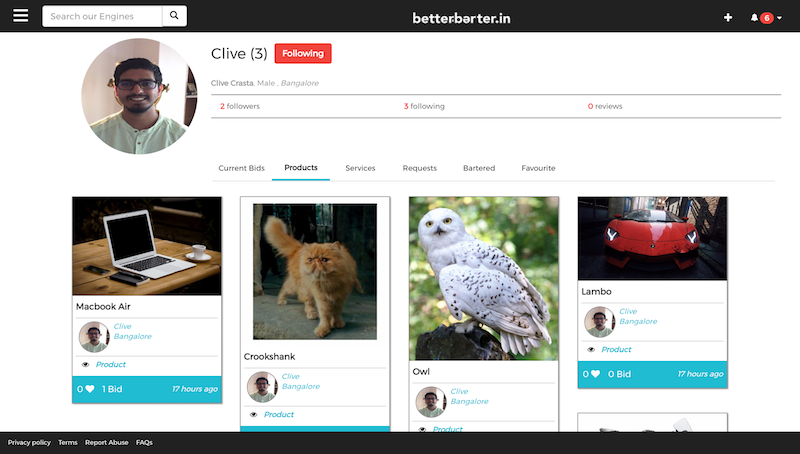 Users can also favourite and comment on products and services they are interested in. 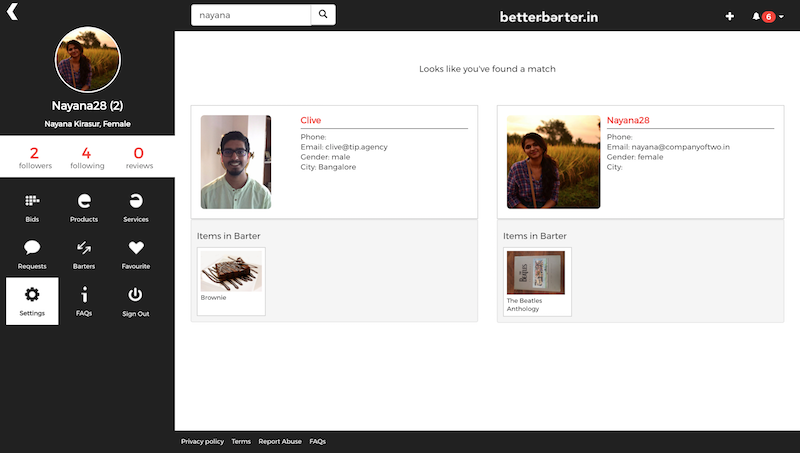 Once they have found their match, they close their bid and barter. 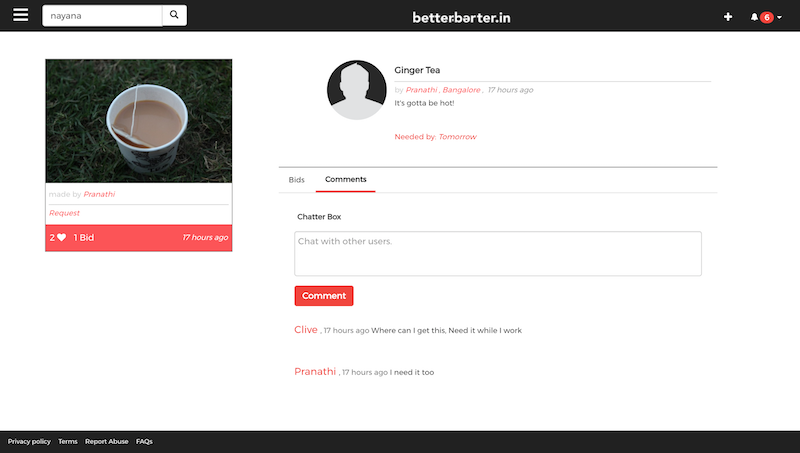 Better barter gives live notifications of the comments, bids people make and close. 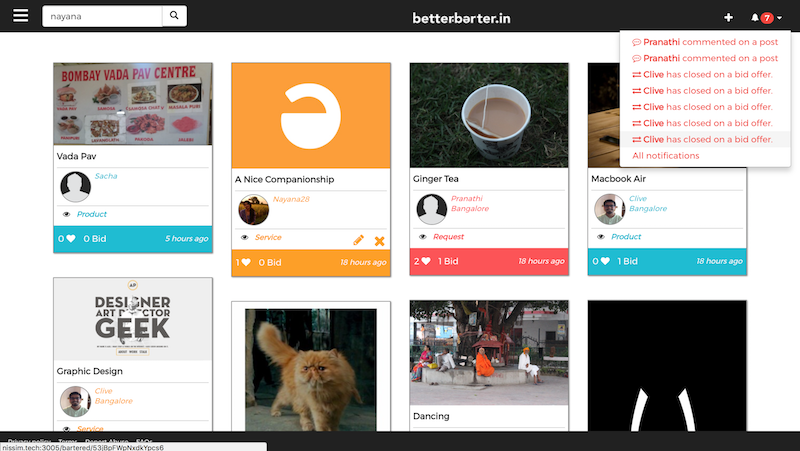 Better Barter has proved to be an exciting project as the challenge was two-fold. 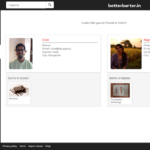 First, we worked on translating the idea of barter to a working website. Then we added features that enhance its functionality and speed, therefore making the user experience seamless.